Contest: Win the Bonamassa Ultimate Guitar Package! 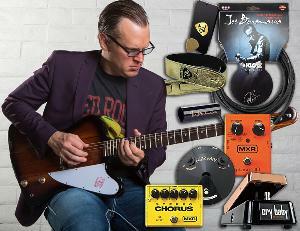 Win the Bonamassa Ultimate Guitar Package! Prize: One of the World's Best Guitarists is giving away a Tobacco Sunburst Firebird plus the best of his signature guitar gear! Statistics: This contest was opened by 369 and entered by 54 ContestChest.com members. 15% of those who opened the contest, entered it.